Our Plat Books contain maps that concentrate on landownership, acreage and parcel boundaries; mainly in non-urban areas. Our books show detailed maps by individual Township and may include but are not limited to public and private roadways, waterways, railways, section lines, municipal boundaries, political boundaries, points of interest & public access points. 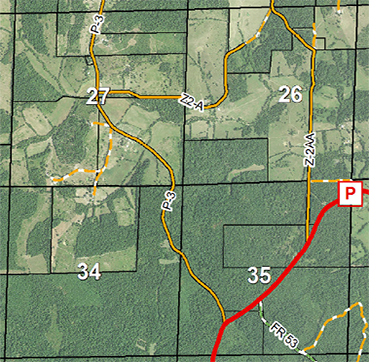 A handy Landowner index allows for easy identification of any rural landowner in the County. 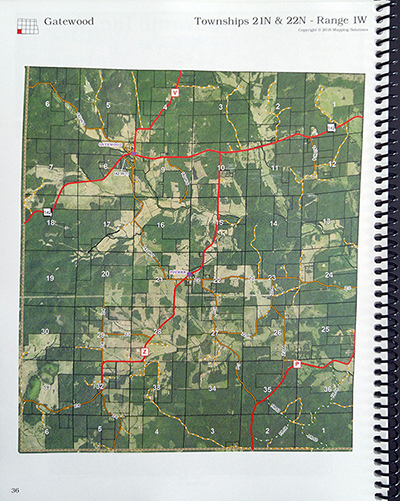 Plat Books typically contain a variety of other information and custom maps to enhance the value of this unique reference material. They are custom built to client specifications and can include School Districts, Fire Districts, Voting Precincts, Cemetery Maps, Soil Maps, Watershed Boundary Maps, Lake Maps and anything else that is pertinent to the County. 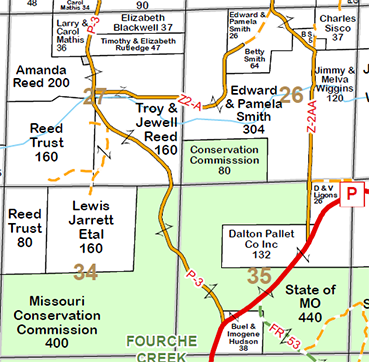 Municipal Maps and information about County Officials or other organizations within the county are always included. 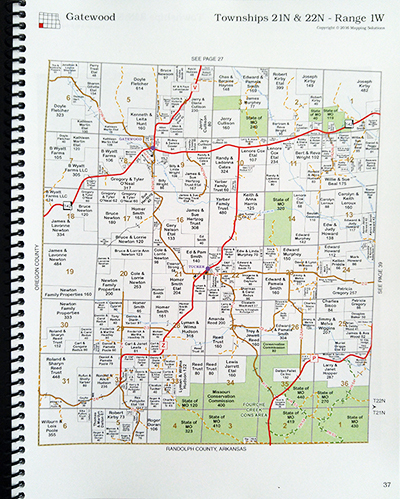 In addition to your typical individual Township Landowner maps found in all of our Plat Books, we usually include a second facing page for each Township. These vary by book and may include Aerial photography, Roads maps or Antique versions that are reproductions of Township Maps from the past and can be compared to the current Landowner maps. See examples below.